For many, the supernatural events recorded in the Bible seem too impossible to be true.To defend the Bible, some people have gone hunting for scientific explanations. 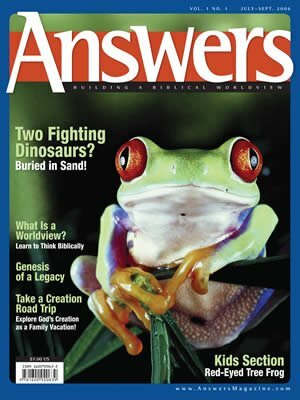 Editor’s Note: In this issue of Answers we introduce a series designed to help you think through “apparent incongruities” (scriptures that seem impossible) and to apply apologetics (a reasoned defense of the faith) in affirming the trustworthiness of the Bible. Various authors will be featured. 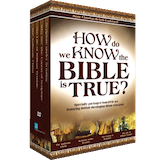 Think of this as an apologetics devotional … and share it with your friends! One such "apparent incongruity" is the account of a reluctant prophet named Jonah who was swallowed by a fish and yet remained alive in its belly for three days ( Jonah 1:17–2:10 ). To defend the Bible, some people have gone hunting for scientific explanations. What fish is big enough to swallow a man? How could Jonah breathe underwater? How could he survive the digestive juices? 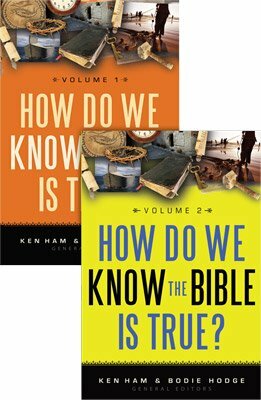 There are plausible explanations for each of these questions (see below), but we must look at this event with knowledge of God’s complete power and sovereignty. Could God have prepared a great fish to be in the vicinity of the foundering ship, to scoop Jonah out of the raging sea, transport him to shore and vomit him up? If He is the all-powerful Creator God, preparing a fish and timing the whole event was not a great drain on His power or ability. Absolutely! If He is the all-powerful Creator God, preparing a fish and timing the whole event was not a great drain on His power or ability. He is in no way limited by what He created. In Matthew 12:40 , Jesus used Jonah’s experience as a basis for giving His disciples information about the circumstances of His own time in the grave. The historical fact of the account of Jonah and the fish is linked to the historicity of the Resurrection of Jesus Christ. When witnessing, we may feel pressure to try to prove the truth of the account of Jonah, but let’s never forget that the lost are saved by grace through faith ( Ephesians 2:8 ), not by our arguing abilities. Apologetics is a tool God may use, but we can never argue someone into the Kingdom of God. We must simply present the truth of God’s Word and let the Holy Spirit bring conversion. To deny the event is to cut out the supernatural, just like Thomas Jefferson did two centuries ago. Don Landis is pastor of Community Bible Church in Jackson, Wyoming. He is founder and president of Jackson Hole Bible College (www.jhbc.edu), a one-year program with special emphasis on creation for young adults. Don is also the founding chairman of the board for Answers in Genesis–USA. Are there "great fish" large enough to swallow a man whole? Could someone survive three days and three nights in a whale’s belly? This is the difficult part of the question. There are fish species that surface from the sea and gulp down air into their lungs, like the lungfish for example. But there is no explanation for how air might have been transferred to the stomach. What about the digestive juices? There are a number of stories that have been around for over 100 years about whales swallowing men whole. Perhaps the most famous is the story of James Bartley, a whaler on the vessel Star of the East, who reportedly was swallowed by a whale and survived. However, there are a number of questions as to the authenticity of this story, and it should not be used as a "proof" of any kind (just Google "James Bartley" and you’ll see what we mean). God needed to discipline a runaway prophet. God did prepare a "great fish" aquatic creature. God brought the runaway prophet and the "great fish" together for His glory and the salvation of a large city.